I recently received a surprising phone call from the Canadian Alliance on Mental Illness and Mental Health. 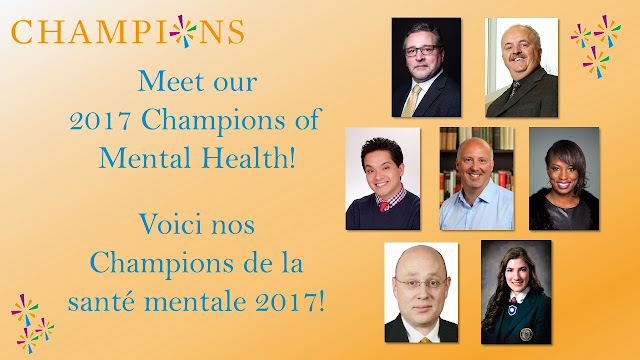 In recognition of the role that Toddcast has had in increasing awareness and reducing stigma about mental illness in the federal public service, I have been selected as one of the recipients at the 15th Annual Champions of Mental Health Awards in Ottawa. The Champions Awards Gala is one of Ottawa’s premiere social and advocacy events, which brings together political decision makers, business leaders, members of the national media, sponsors and other stakeholders to celebrate individuals and organizations whose outstanding contributions have advanced the mental health agenda in Canada. Each year, this event, recognizes exceptional Canadians who have made outstanding contributions to the field of mental health and to the awareness of mental illness in Canada over the past year. I am excited, grateful, and more than a little shocked. While I love to contribute to valuable and meaningful work, I am, by nature, a rather quiet person. I'm not a driven competitor. I like to be the enabler, the collaborator, the advisor, the real life equivalent of best supporting actor. My podcasting necessitated that I take the leading role, but it would not have become what it has become without the support of a number of special people from the very start, and the warm and receptive public service audience that arrived early and remained steadfastly. And so I wish to thank Ioana Finichiu, Emily King, Darlene Mulcahey, and my wife (who wants no part of the spotlight) for believing in me... and also every person I have ever named in the outro credits of a Toddcast. Thank you to Christine Maki, Julia Sisler and Hallie Cotnam at CBC for inviting me as a guest on CBC's Ottawa Morning. My thanks to Wei Chen of CBC Ontario Morning and Lucy van Oldenbarneveld of CBC Ottawa News at 6:00 for having me as a guest on their respective programs. 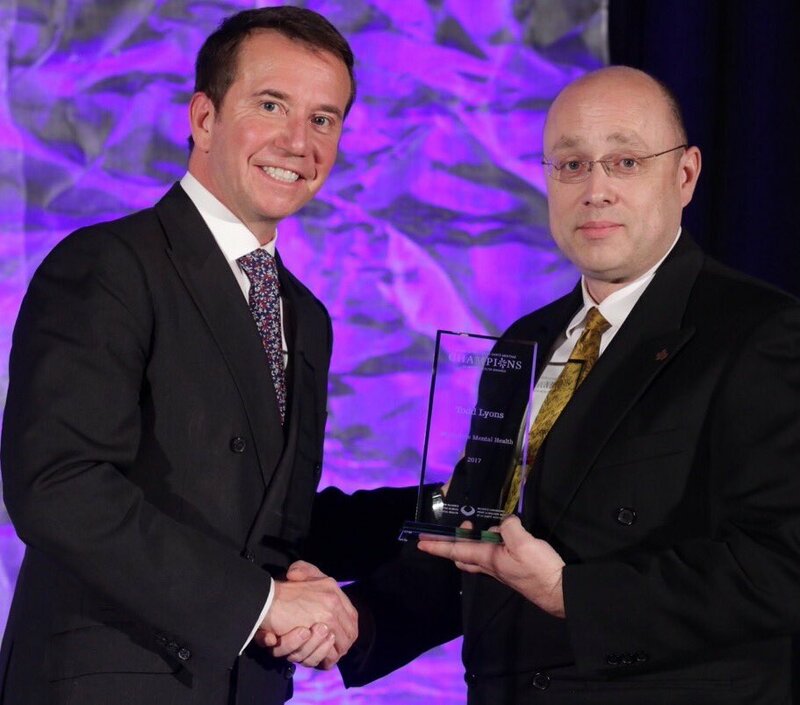 I was also gratified to receive my Champions Award from The Honourable Scott Brison, president of the Treasury Board. Much appreciation to CBC Ottawa for the news story on their website.